Techniques designed to improve proprioception, stability, and muscular coordination utilizing the BOSU® Balance Trainer, Smart Muscle®, Balance Board,Stability Balls, and drills using no equipment. Exercises are progressive, achievable, for the individual new to balance training with advanced challenges for the professional athlete. 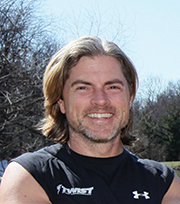 Peter is the President and CEO of Twist Sport Conditioning. An exercise physiologist with a Masters in Coaching Science, he coached full-time in the NHL for 11 years and along with his own camps and consulting in several countries has worked with over 700 professional athletes including four major league MVP's from three sports. Twist also consults international sport governments to bring current their coach education and athlete development programs. Corporately, Twist Sport Conditioning operates eight Sport Conditioning Centers in four countries, where all ages and abilities engage in athlete training. TSC also delivers licensed group training for health and avails how-to-train resources via their digital platform. Twist has also authored several certifications on sport conditioning and functional training for many brands. A passionate educator, Peter Twist has published over 500 papers, 14 books, and 24 DVDs on athlete development. A gifted and compelling speaker, he was honored with the 2001 National Strength and Conditioning Association's President's Award, the 2003 CanFitPro Specialty Presenter of the Year, the 2010 IDEA Program Director of the Year, CanFitPro's 2012 Canadian Presenter of the Year, and the 2013 IDEA World Fitness Inspiration award. Twist lives with his daughters Zoe and Mackenzie in North Vancouver British Columbia making the rainforest and mountains his home and his preferred environment for sport and recreation.